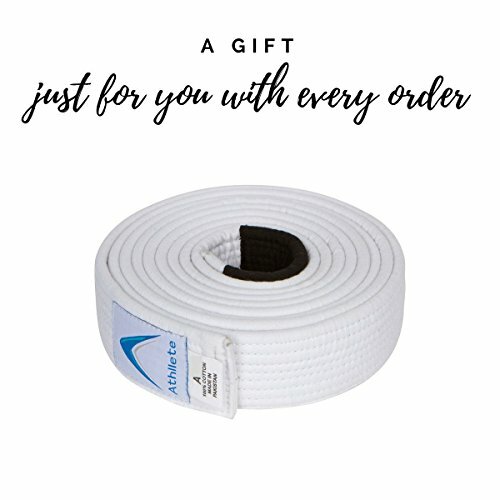 FREE WHITE BELT – We offer free white belt with every Jiu Jitsu Gi (Kimono). 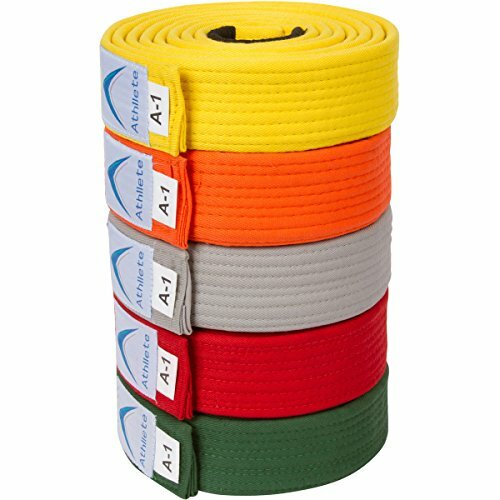 Belt size is same as the Gi size you order. You can use it for yourself if you are starting out or give it to the new comers as a gift. 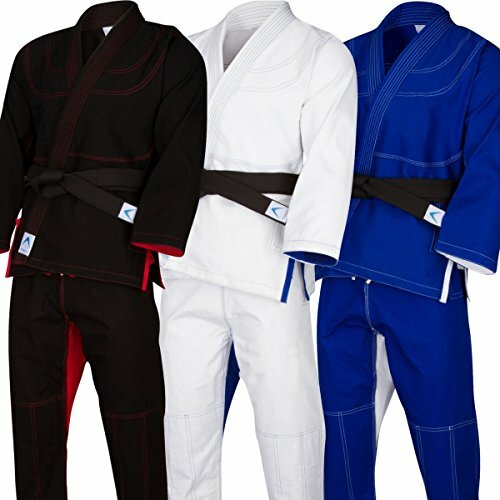 PRE-SHRINK FABRIC – We use only pre-shrink fabric so no worries about Jiu Jitsu Uniform shrinking after wash. 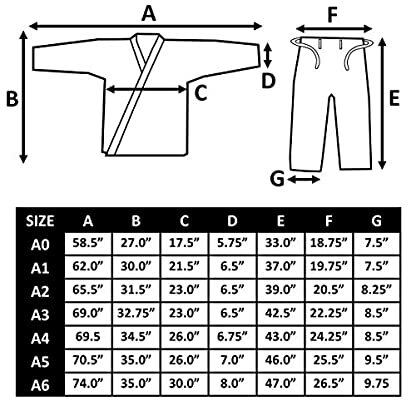 Please select the size according to your body without thinking about the shrinkage. LIGHT WEIGHT DURABLE FABRIC – The materials are carefully selected to meet the required strength while minimizing the weight so you do not get tired during training. We use 350 GSM pearl weave fabric for the jackets. 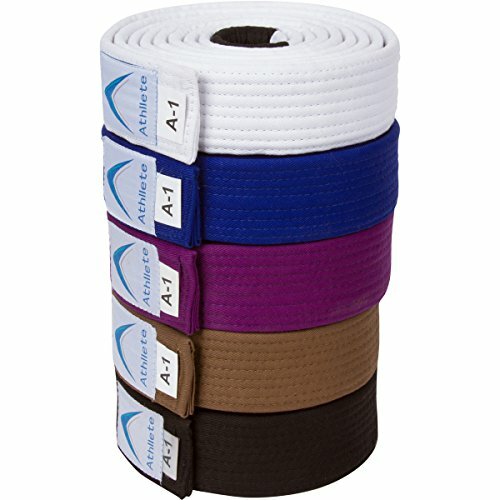 FREE WHITE BELT We offer free white belt with every Jiu Jitsu Gi (Kimono). Belt size is same as the gi size you order. You can use it for yourself if you are starting out or give it to the new comers as a gift. 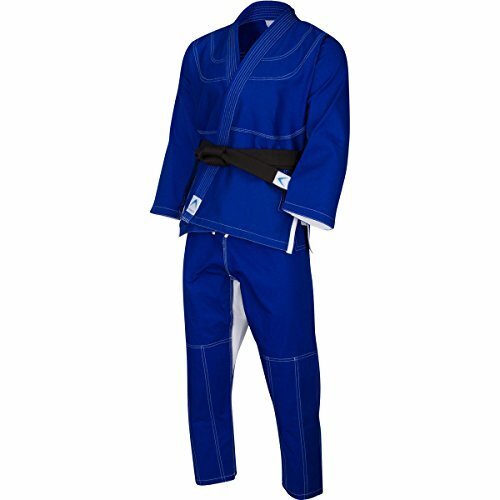 PRE-SHRINK FABRIC – We use only pre-shrink fabric so no worries about Jiu Jitsu Uniform shrinking after wash. Please select the size according to your body without thinking about the shrinkage. LIGHT WEIGHT DURABLE FABRIC – The materials are carefully selected to meet the required strength while minimizing the weight so you do not get tired during training. We use 350 GSM pearl weave fabric for the jacket and 8 oz. rip stop fabric for the pants. 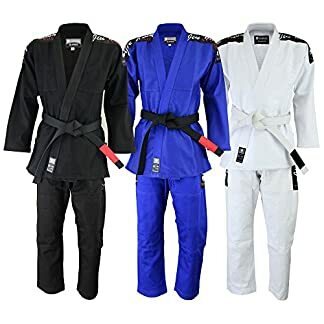 7 SIZES – Other sellers try to combine sizes to decrease their inventory but we believe in 100% customer satisfaction and offer sizes so you can find the perfect Gi that fits your body best. 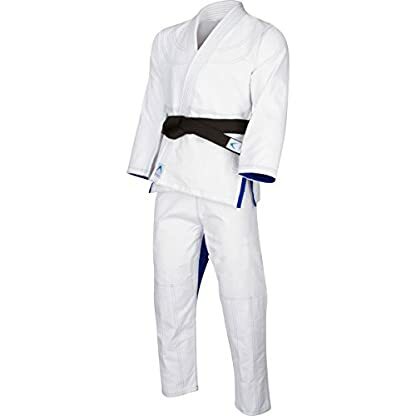 YOU WILL LOVE IT Try Athllete Jiu Jitsu Gi for 30 DAYS risk free. You will love our kimonos. If you do not, you can return it any time in first 30 days of your purchase. 7 SIZES – Other sellers try to combine sizes to decrease their inventory but we believe in 100% customer satisfaction and offer sizes so you can find the perfect GI that fits your body best. 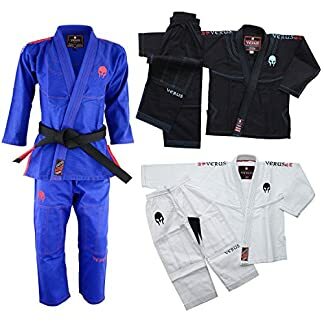 YOU WILL LOVE IT – Try Athllete Jiu Jitsu Gi for 30 DAYS risk free. 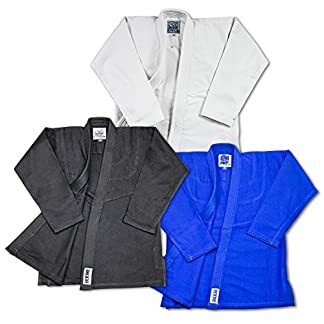 You will love our kimonos. If you do not, you can return it any time in first 30 days of your purchase.